MANILA, Philippines – Even Justin Brownlee can’t save Barangay Ginebra as the crowd favorite fell into the hands of the Meralco Bolts, 93-82 on Friday night, June 1, 2018 at the Mall of Asia Arena. 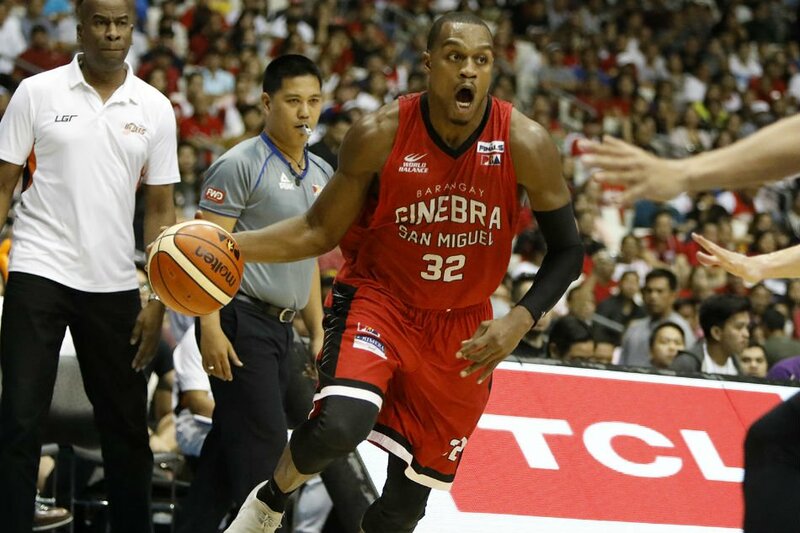 With Charles Garcia out of Ginebra due to poor performance, the comeback kid and Kings resident import, Justin Brownlee is expected to lift up his team from the bottom of the standings. Fresh from his Alab Pilipinas stint in the ABL where he and his buddy Renaldo Balkman helped Coach Jimmy Alapag won his first title as a coach, Brownlee wasted no time, got back to work in the PBA and showed what Ginebra missed about him when he was away: his energy and hustle on the floor. Although Ginebra trailed Meralco after the 1st quarter, 28-22, Justin Brownlee chipped in 6 points, 2 rebounds and 3 assists. Last Wednesday, the San Miguel Beermen with Renaldo Balkman on board, had notched their 1st win against Phoenix Fuel Masters where the NBA veteran posted a 30 plus-point humongous game. With this, fans are anticipating the same effect on Ginebra from Balkman’s pal, Justin Brownlee. Nothing much changed at the end of the 1st half. Meralco still led Ginebra by 6, 48-42 but Brownlee topped all scorers with a dozen markers and 1 board shy for a double-double while his counterpart, Arinze Onuaku had 8 points and 12 rebounds. What’s nice about Justin Brownlee aside from being a legit scorer is his stamina and his ability to acclimatize to the warm weather of the country. Midway of the third period, the Ginebra reinforcement had already played every second of the game and didn’t even take a breather. After 3 Quarters, Brownlee had tallied 18 points but got no support from the locals as Meralco’s lead ballooned to 15, 73-58. Despite being pinned down by Meralco, Justin Brownlee silently registered a rare triple-double with 18 points, 13 rebounds and 10 assists and 9 more minutes to improve his stats and probably get a win on his debut. Coach Tim Cone waved the white flag too early as he pulled out his prolific import and let his locals finished the game. Justin Brownlee wrapped up his homecoming game with 20 points, 16 rebounds and 12 assists but failed to give Ginebra a much need “W”. Come Sunday, Justin Brownlee will be facing Renaldo Balkman and the rest of the San Miguel Beermen.